Th e Finance Committee meets monthly to review the financial records of the Association for accounting accuracy and sound financial practices, and to make recommendations concerning Association funds. The Annual Budget and the Reserve Study are used extensively in the process of maintaining the prudent use of financial assets concerning Association funds. The Committee serves as a financial reference for the Community Manager and the Board of Directors in all matters relating to Association finances while adhering to prudent fiduciary practices and safety of funds. Residents are encouraged to attend meetings if they so desire. 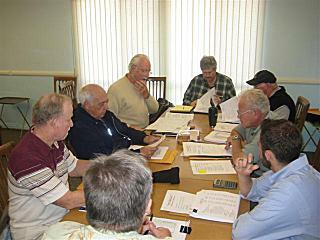 The Finance Committee normally meets the 3rd Monday of each month at 9:30AM in the Clubhouse Card Room. Agenda items for the next meeting must be received ten days prior to the meeting.